The first E3 I watched was when Sony won E3 with the reveal of the PS4. It was a hype E3 and this E3 was on the same level. I got my PS4 this past Christmas but thus far I have not really used it as much as I wanted to. I enjoyed Second Son and loved the Last of Us but the number of titles on the PS4 is still a little lacking. Luckily, Sony announced some spectacular looking titles like the beautiful Horizon: Zero Below or the intriguing Firewatch. 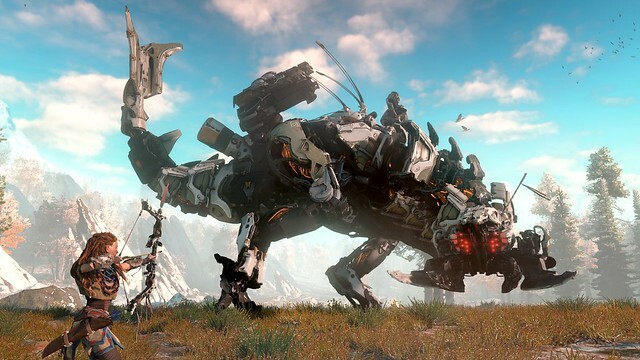 Rather than having a CG trailer, Horizon was shown off with gameplay and the graphics were stunning. The setting and reminded me of Xenoblade X due to the vast world with huge enemies. In addition, the announcement of the remake for Final Fantasy 7 was hype as hell and that is coming from someone who has not even played it. I own this game but I have yet to play it so now I am glad I held off. I am really looking forward to playing it. Anyway, Sony had a great presentation and it would have been better if they had not omitted the PS Vita. Many believe the vita to be dead and who can blame them since Sony has basically dug the grave for their own handheld. E3 has never been good for the Vita and this year was no different. All that was given attention was Persona Dancing all Night, which I am excited to play but this game had been announced a long time ago. Sony has not produced many triple A titles and I do not see them doing so in the future. Luckily, the Vita is strong in Japan so hopefully some of those titles can be localized. I am hoping that the vita gets the attention it deserves at other conferences such as Tokyo Game Show.